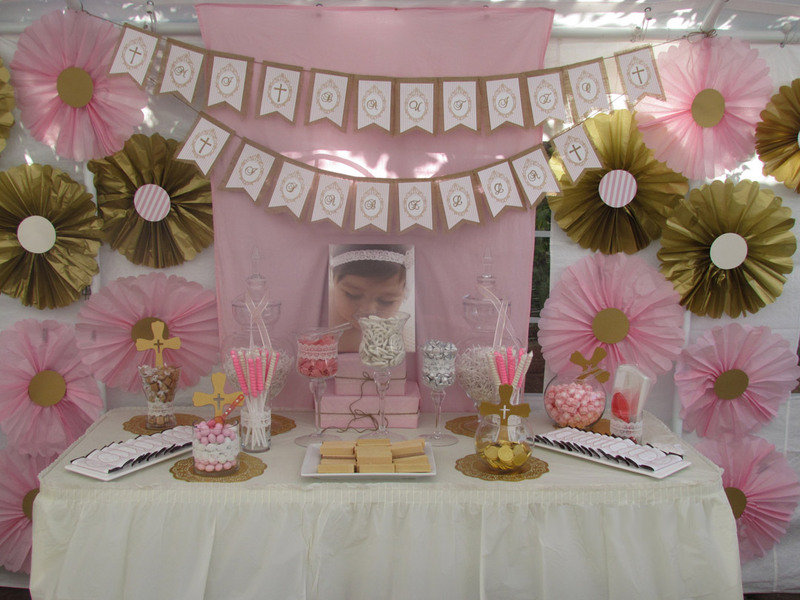 Start with a pink and gold theme, add some lace and doilies and you’ll have created a classy and gorgeous set up just like my customer Paola did for her daughter Isabella’s Baptism. Some of my favourite features are the gold backing on the bunting and the introduction of lace around the candy jars that match her daughter’s headband in the print. Hope this gives you some ideas for your next event and thank you Paola for sharing the photo with us.